Have the Tripartite Partners Secured Humanitarian Relief for South Kordofan and Blue Nile? Recently, the government of Sudan and the Sudan People’s Liberation Movement-North, or SPLM-N, signed separate memoranda of understanding, or MOUs, with the so-called “Tripartite Partners” comprised of the United Nations, the African Union, and the League of Arab States. While challenges remain, the MOUs are a positive step forward in securing unfettered access for international humanitarian aid organizations to conflict-affected populations in South Kordofan and Blue Nile. 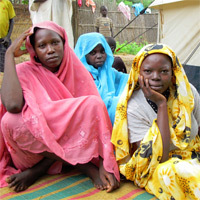 According to the U.N.’s estimates, the affected population numbers over 700,000. The vast majority of these people have been sealed off from international humanitarian assistance since at least September 2011. Notably, there are discrepancies between the texts of the two MOUs. These differences, coupled with the continued lack of a ceasefire agreement between the government and all militarily active components of the Sudan Revolutionary Front, or SRF, call into question the efficacy of the two MOUs. These two caveats temper the degree to which the two MOUs will be effective in creating an environment in which the Tripartite Partners and their affiliated organization will be able to adequately deliver aid to conflict-affected populations, particularly those in SPLM-N-controlled areas. Given the ambiguities that remain in the agreements’ texts, the Enough Project recommends that the Tripartite Partners, backed by other international actors, closely monitor the implementation of the two agreements. In particular, the international community should exert pressure to ensure that the government of Sudan permits independent, third-party humanitarian access into the two states. As well, assessment teams compromised of representatives of the Tripartite Partners should be deployed no later than August 18, 2012 to all conflict-affected areas. Finally, pressure should be applied on both parties to maintain a cessation of hostilities in all conflict-affected areas—not just those areas where humanitarian operations are taking place—and to press the government of Sudan to negotiate a comprehensive ceasefire agreement with the SPLM-N and the other militarily active components of the SRF.